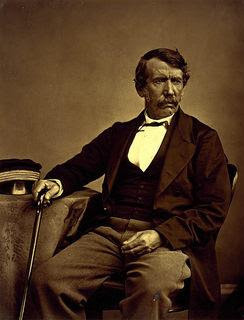 Dr David Livingstone and the incomplete Map of Africa – This & That.. In my drawing room wall I have a huge map of a portion of Central Africa from the surveys, drawings and observations of Dr David Livingstone between the years 1866 and 1873 engraved by the Royal Geographical Society.The map is incomplete as in the middle of the exploration Dr. Livingstone was struck by malaria which halted his travel.David Stanley was to undertake a search for the Scottish missionary and explorer, Dr. Livingstone, who at that time had been missing in East Africa for three years. The Royal Geographical Society had prepared an expedition to search for Livingstone and prepared a map based on the letters of Dr. Livingstone written to the Society on his expedition and his charted route and these letters were all that was heard from Livingstone. As instructed, Stanley first travelled to Egypt, where he covered the opening of the Suez Canal and met with Sir Samuel White Baker, who at that time was planning an expedition up the Nile. Stanley then travelled into the Crimea, where he reported on the battle sites of the Crimean War of 1853-56.Stanley had been provided with virtually limitless financial resources by his New York publisher, and proceeded to organize a small army of porters, guides, hunters and armed escorts, along with pack animals. He spared no expense, and had the veteran Sidi Mubarak Bombay as his caravan leader. He departed Bagamoyo on the mainland of present-day Tanzania on March 21, 1871. He followed the Arab slave caravan route inland to Tabora, then continued toward Lake Tanganyika. The travelling was extremely difficult, despite Stanley’s thorough preparations. Two of his British companions died, and Stanley himself was constantly plagued by fever, sometimes to the point of unconsciousness. Conflict with slave traders and African natives meant large detours had to be taken. Stanley himself doubted whether he would make it through alive, carving the message “Starving: H.M.S.” on a tree. Nevertheless, Stanley pushed on with the ruthless determination which came to characterize his expeditions. “Yes”, said he, with a kind smile, lifting his cap slightly. 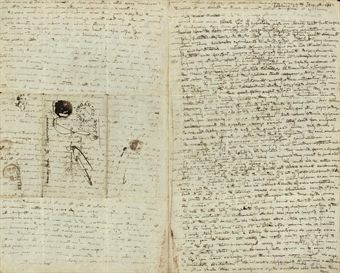 Livingstone expressed surprise that he was thought to be lost, as he considered himself only temporarily weakened by disease and short of supplies. 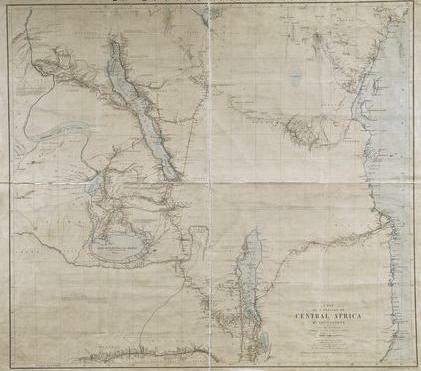 Moreover, Livingstone was still committed to exploring the great lakes of East Africa, especially in ascertaining their exact connection to the Congo and Nile rivers. ‘Dr Livingstone I presume?’The line became famous and came to be associated with exploration of the lost world. Livingstone was a Scottish missionary and one of the greatest European explorers of Africa, whose opening up the interior of the continent contributed to the understanding of Africa .Before Livingstone, Africa’s interior was almost entirely unknown to the outside world, it was known as the`Dark Continent’. Livingstone dispelled much of this ignorance and opened up Africa’s interior to further exploration. 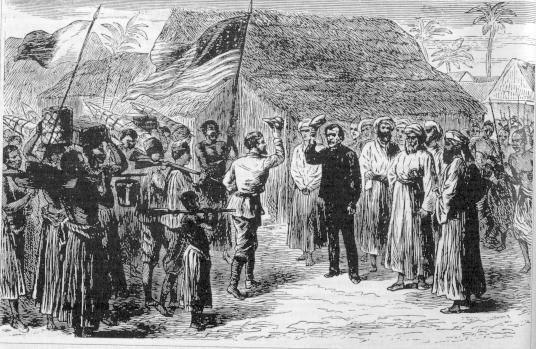 Livingstone became convinced of his mission to reach new peoples in the interior of Africa and introduce them to Christianity, as well as freeing them from slavery. It was this which inspired his explorations. In 1849 and 1851, he travelled across the Kalahari, on the second trip sighting the upper Zambezi River. In 1842, he began a four year expedition to find a route from the upper Zambezi to the coast. This filled huge gaps in western knowledge of central and southern Africa. In 1855, Livingstone discovered a spectacular waterfall which he named ‘Victoria Falls’. He reached the mouth of the Zambezi on the Indian Ocean in May 1856, becoming the first European to cross the width of southern Africa. 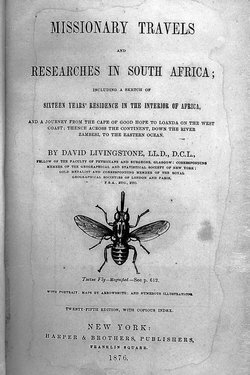 Returning to Britain, where he was now a national hero, Livingstone published ‘Missionary Travels and Researches in South Africa’ (1857). He left for Africa again in 1858, and for the next five years carried out official explorations for the British government. His wife died of malaria in 1862, a bitter blow and in 1864 he was ordered home by a government unimpressed with the results of his travels. 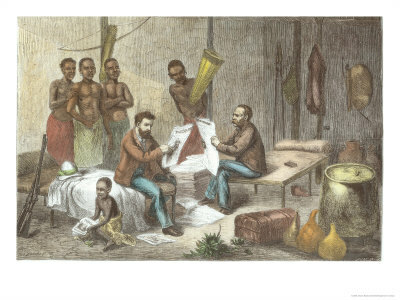 At home, Livingstone secured private support for another expedition to central Africa. This expedition lasted from 1866 until his death in 1873. After nothing was heard from him, Henry Stanley, an explorer and journalist, set out to find Livingstone. This resulted in their meeting near Lake Tanganyika in October 1871 during which Stanley uttered the famous phrase.Stanley persuaded the Doctor to return which he refused.Dr. 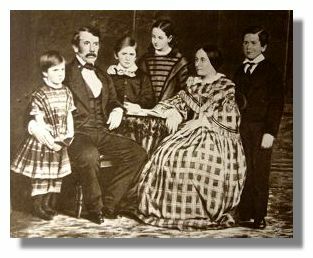 Livingstone died in May 1873.